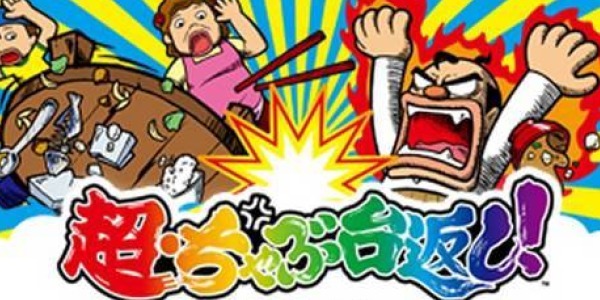 So Super Table Flip or Cho Chabudai Gaeshi is a dometic violence simulator from our friends in Japan. The premise is very simple. You have a time of 60 seconds and it plays out various scenarios dad and kids, there’s a bride at a wedding, a guest at a host club and a frustrated office worker and when someone is annoying or pisses you off you pound on the table to scare them and show how pissed you are. When the time is right you fire the table as hard as you can across the room with the intentions of causing the most destruction possible. You get alot of humorous replays and a score based on your chaos. Honestly, this one looks like alot of fun. There's not much else to this besides that so enjoy the clip.